Breezer are an American brand who is well known in the business for their mountain bikes. 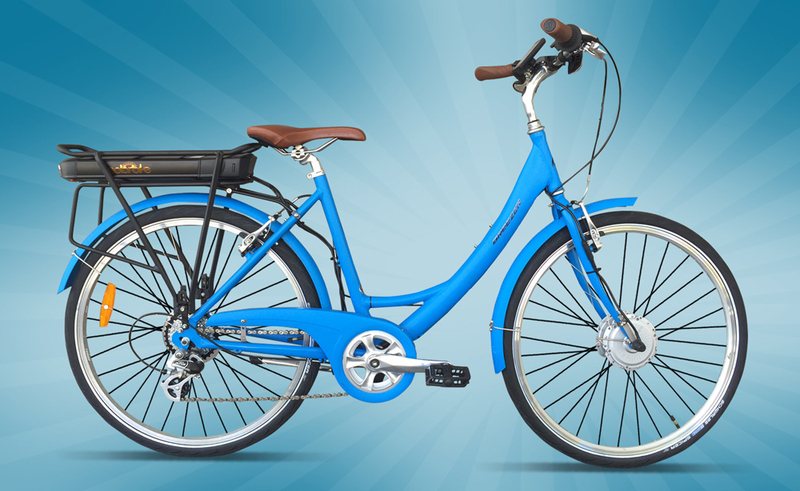 We like them more for their “Transportation” range; in particular we like the Uptown, it’s a lady’s bicycle with nice small 26″ wheels and a low step-through making it easy to get on an off. In addition, it’s a great performing bicycle that is super cute. We use our front wheel mini-motor with a rack battery to convert this into a shop favourite electric bicycle. It’s a tremendous little unit that rides like a breeze.